Marketing teams invest huge amounts of time, budget, and creativity into driving traffic and building marketing campaigns… only to unintentionally turn away over 90% of leads at the last step. Forms are what separate a non-lead from becoming a lead. They sit at the most critical point in your funnel and impact the results of all upstream marketing activity. In fact, you can do everything right in your marketing, but if your forms are mediocre – your results will be too. Mediocre lead capture forms not only cost you leads, but also diminish your ROI, inflate your acquisition costs, and create a negative ripple effect throughout your marketing. That’s why we’re putting an end to mediocre forms. 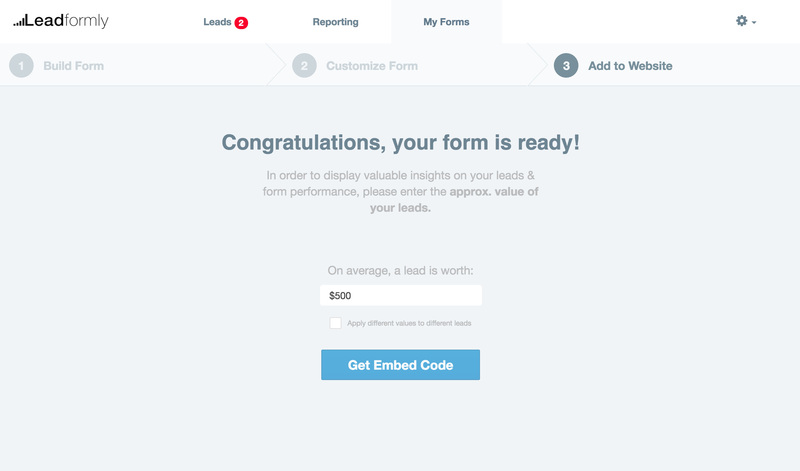 At Venture Harbour, we’ve seen 200%+ uplifts in leads from optimising lead capture forms. We believe that the insights we’ve discovered on lead capture form optimisation could help thousands of businesses bring in more qualified leads each month. We’re on a mission to make capturing & converting more leads easier for marketers. 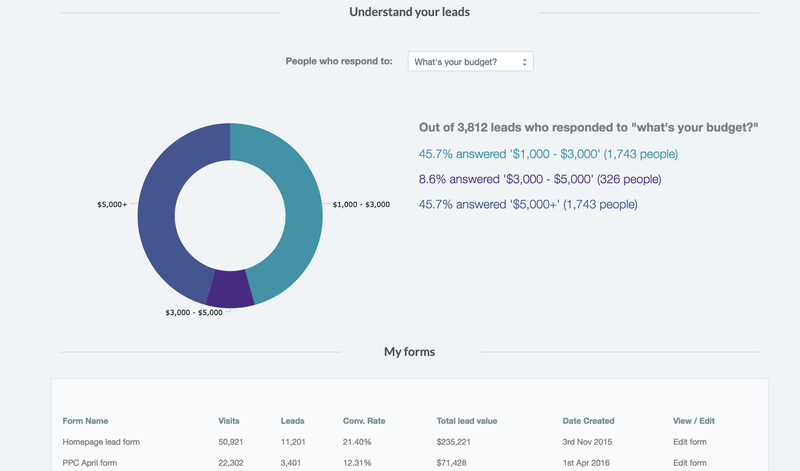 This is why we’re launching Leadformly, a tool that makes it easy for marketing teams to boost ROI with conversion-optimised lead capture forms. With Leadformly, you choose from a smorgasbord of pre-optimised form templates to then customise and embed on your landing pages. 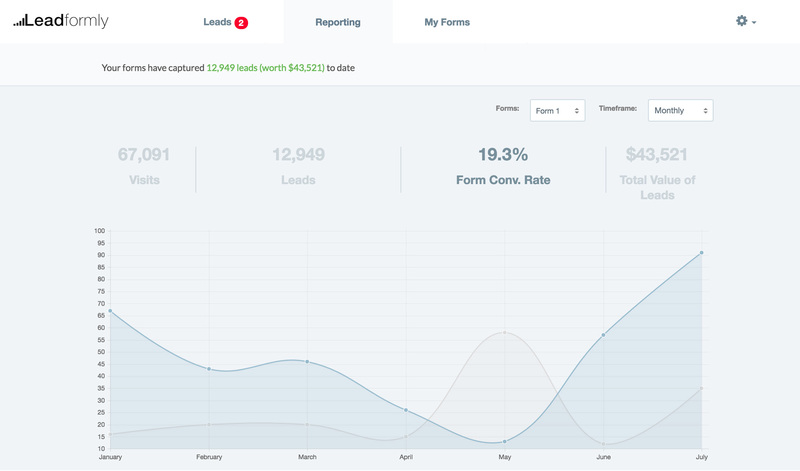 After a day or so you’ll be able to come back to the platform to see how your forms are converting, and how leads are responding to your questions. From there, you can rinse and repeat until your form conversion rates are as high as they can get. Want to hear about the Leadformly Early Adopter Program? We’ll be launching Leadformly in mid-May to a private group of 50 early adopters. After this, we won’t be taking on any new users until later in the year. If you’re interested in your company getting early access to Leadformly, please fill out the short survey below and we’ll let you let you know about the program once it’s ready. What feature(s) are important to you in a lead capture form builder? 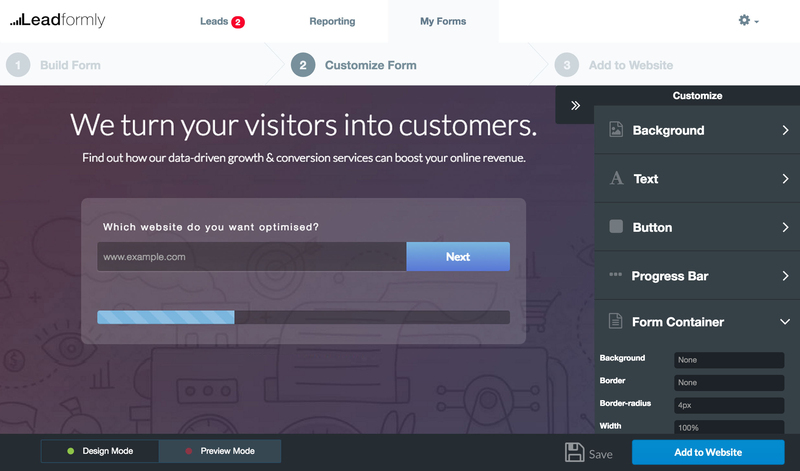 What’s your biggest barrier to building high-converting lead capture forms?